In San Diego County, and all over California, many people request as to whether a California Mobile Notary Public can notarize a will for them, and whether a will needs to be notarized. California Notary Public’s are prohibited from giving legal advice. The only advice we can provide you is that you need to consult a lawyer regarding whether a will needs to be notarized, or witnesses. If a lawyer indicated that the will should be notarized, then a California Notary Public may notarize the document provided all other criteria for being notarized are met. If the Notary Public indicates they are not supposed to notarize a will, you can provide them contact information of your lawyer stating that they want the will to be notarized, because they will probably refer you to consult a lawyer when you tell them it is a will being notarized. Another alternative we at San Diego Notary Now encounter is being asked to witness a will, or notarize and witness a will. 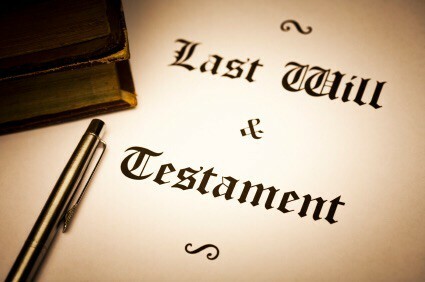 According to Notary Public handbook, we are not prohibited from acting as a witness on a last will and testament. However, if the witnesses signatures are getting notarized, we could not act as a witness because we are not allowed to notarize the signature of ourselves when acting as a Notary Public. When California Notary Publics sign as a witness to a document, they do so as an individual in an official capacity, and according to the California Notary Public handbook, are not allowed to affix their seal unless they are acting in an official capacity. Getting a will witnesses or notarized can be a very complicated process, especially in California. the above information is provided for informational purposes about San Diego Notary Now and California mobile Notary Public procedures and policies and does not imply legal advice, or guarantee the legality of a document if you listen to the above information. Always consult a lawyer when you are uncertain of what needs to be notarized or witnesses by a Notary Public in California, as well as for preparation of legal documents.